Although quite common in my area during the breeding season the brown thrashers had continued to elude my lens until this close encounter with an immature bird. 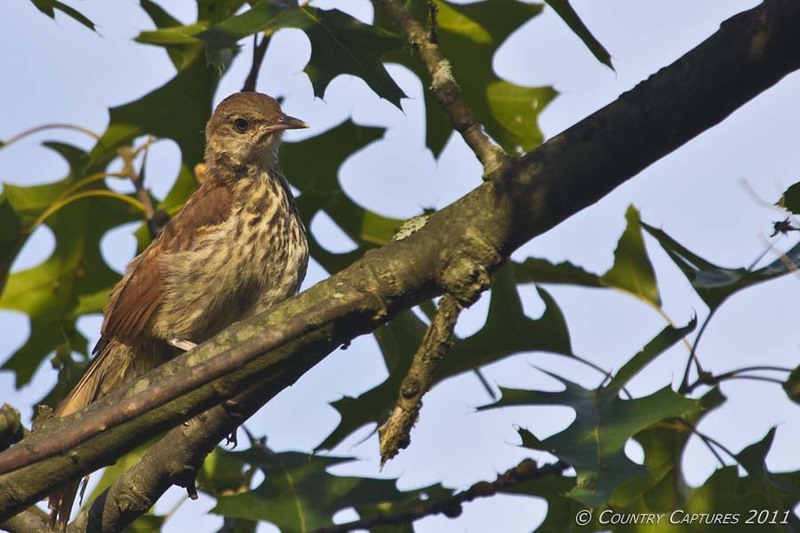 Brown Thrashers, while closely related to the mocking birds and gray catbirds are much more secretive; preferring to spend much of their time in heavy cover. Their preference for cover, a diet of insects usually uncovered by scratching among fallen leaves, and their natural wariness has all worked to their advantage in avoiding my previous attempts at close-up photos. Thus when this young bird selected an exposed nearby perch I was quite pleased to add yet another species to my growing collection of bird images. 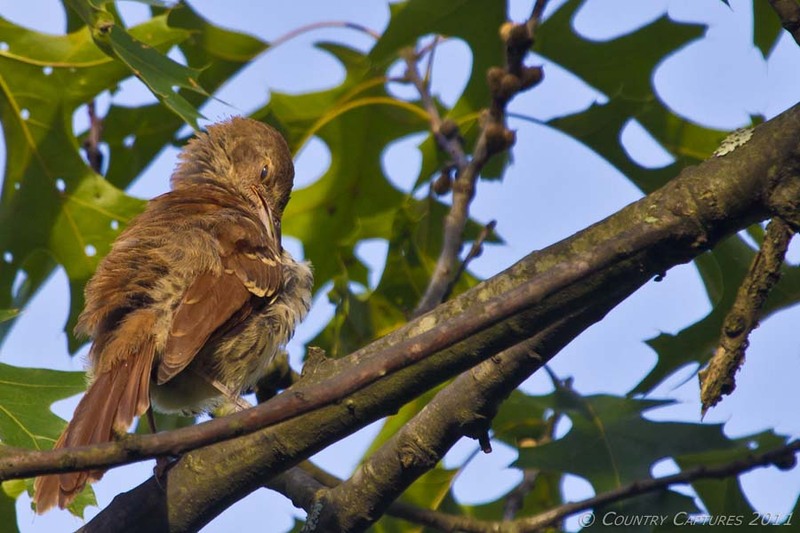 After much calling and flitting about in the surrounding bushes the adults finally convinced the young bird to become concerned over the possible danger that I presented. Even with all of the commotion they were creating the young bird eyed me intently for a few minutes before it decided to fly into the safety of deep cover. I don't think there are as many as there used to be. I finally got a few good shots, this spring. You got a good series. Great shots! It's these moments that make life worthwhile. Great post Coy! 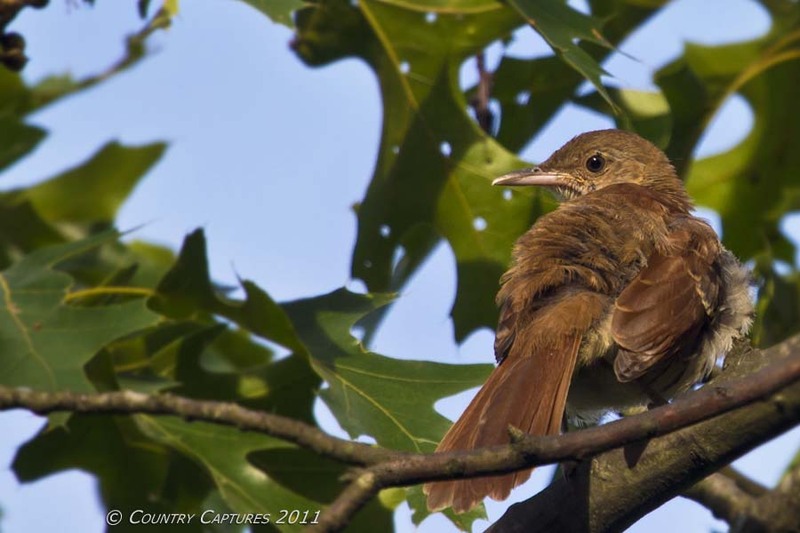 Great photos too of the young thrasher! Rare opportunity! Observing parenting behavior reveals everything when it comes to communication among birds. Amazing to witness! None have stopped here for two years now.